Summer Reading Binge – August Only! It’s that time of year again: Tourmaline Books has reduced the entire Wycaan Master series to just $0.99 for each book throughout August. This a great time to introduce a young person to Seanchai and his friends. I wrote these books for my sons who were 11 and 8 when the first came out. They were 16 and 13 when the final book was published. This is how it all began – deep in a redwood forest in 2011. While At The Walls Of Galbrieth won the Young Adult category of the Eric Hoffer Book Award, I am not sure what proportion of readers are in the 11-18 age range. Perhaps they are less likely to interact with an author on social media. Still, I am delighted every time I hear of a teen who has enjoyed the series. Please click on the book cover to buy your 99c copy of each book and, if I might request, please leave a review on Amazon when you finish. It’s a huge help for me. Thank you for your support. Enjoy the summer. It has been quite a week with the release of Ashbar – Wycaan Master Book 3. I am feeling slightly stunned by the closure of the first trilogy. 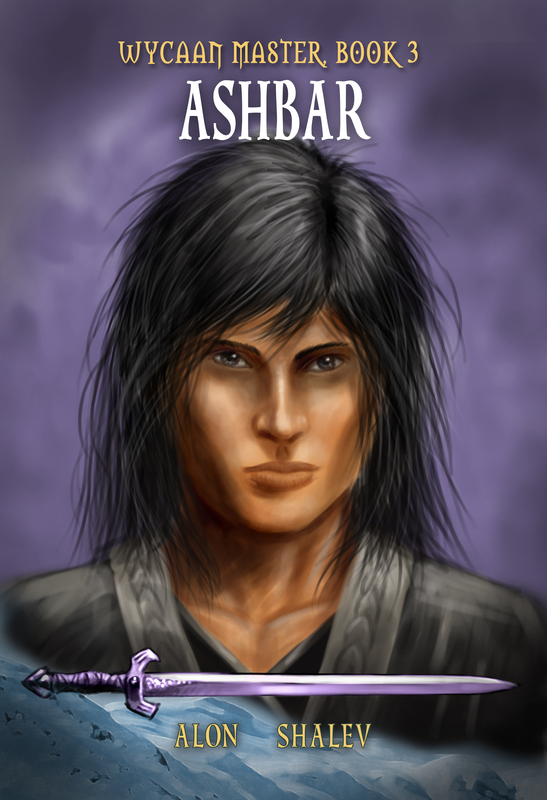 Like At The Walls Of Galbrieth and The First Decree, Ashbar is a self contained story as well as the third in a series. Thank you to everyone who bought Ashbar over the weekend and enabled it to pick up a credible ranking. Please let me know what you thought of it, once read, and leave a review on Amazon. I am surprised at how important these reviews are in terms of trackable purchasing actions and sales ranks. If you have not yet bought it, please invest the $2.99 this week, to help move it to a higher ranking. I just want to take a moment and thank the incredible support team behind me. Monica Buntin is my editor. I send her a jumble of about 100,000 words and she makes sense of them. I once had the audacity to tell her that I was sending a pretty clean manuscript. She had the good manners not to respond to that comment, but that didn’t deter her from cutting about 10% of the book and offering (correct) critique on every page. Oh well. I learned my lesson. Editors are an eclectic breed and I have written about them before. They need authors or they will have nothing to edit and yet have to, I am sure, tolerate an awful lot of ego. When an author finds a good editor and one who clicks with them, they have a rare asset and would do well to keep them. William J. Kenny, a fantasy author in his own right, designed the covers for all three of the Wycaan Master books. One day, I would like him to reveal the creative process in depth. For now, I am content to consider it magical. I send him a couple of paragraphs with my ideas and he sends me a crude image. He takes my response and produces such a complete picture. I am really in awe of him. If I could draw anything better than deformed stick people, I would love to give the process a go. Then there is Jeny Reulo from FastFingers Book Formatting Services, who designs and formats the interior of the books. Her willingness to make changes and attention to detail is amazing. The interior design of a book, if done well, does not garner any attention, but it is a crucial element in the reader’s experience. The interior designers are often the unsung heroes of the expedition into producing a book. Finally, a big appreciation for my wife Ariela. I am sure she releases a big sigh of relief on the day that I finish writing a manuscript and probably an even bigger sigh of exasperation when, the following week, I begin writing the next book! My absences, both physical and mental, create a void she needs to fill, and she does it with grace and understanding. This series began as a fun, family project, deep in a redwood forest. My sons were a part of this strange journey, from the prologue in Chapter 1 of At The Walls Of Galbrieth, to the final climax in Ashbar. Earlier this summer I read them a rough first draft of Book 4, and, four years on, it remains an integral part of what I hope and believe is a powerful journey we will share in our memories forever. Where it all began – deep in a redwood forest. It really doesn’t get any better than that. Once again, thank you to all who buy, read and review the Wycaan Master series. Your time is precious, the options of good books to read vast, and I am honored that you choose to open and read my books. Thank you for sharing in the journey of the Wycaan Masters. Alon Shalev is the author of the 2013 Eric Hoffer YA Book Award winner, At The Walls of Galbrieth, Wycaan Master Book 1 and the sequel The First Decree, both released by Tourmaline Books. Ashbar – Book 3 is the third in the series, released in October 2013. Shalev is also the author of three social justice-themed novels including Unwanted Heroes. He swears there is a connection. More at http://www.alonshalev.com and on Twitter (@elfwriter).